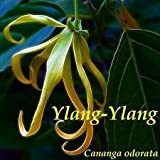 Ylang ylang tree growing tree of the genus Cananga also known as Ylang-ylang or Ilang-ilang, Ylang ylang tree perennial evergreen or semi-deciduous plant, mostly used as ornamental plant for the fragrant of the flowers although the fruits are edible, can grow in tropic, subtropical or mediterranean climate and growing in hardiness zone 10b+. 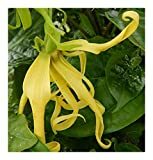 Flower showy fragrant the color yellow 6 petals the petal curly, and used for the fragrant. 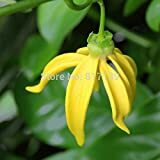 Fruits edible, the color of the fruit is purple with small seeds inside, the fruit are the size 1-2 cm. 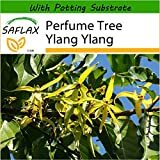 What can be done with big quantities of Ylang ylang tree fruits?